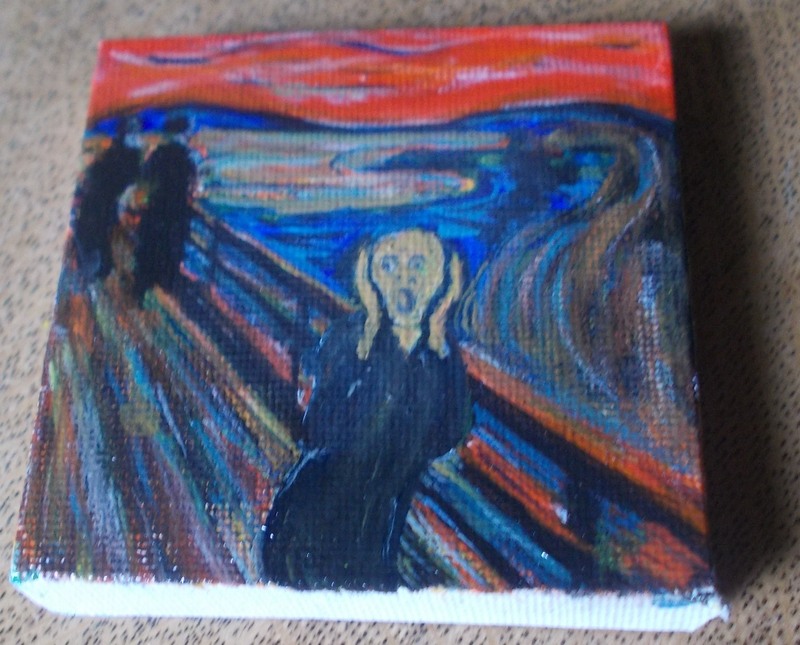 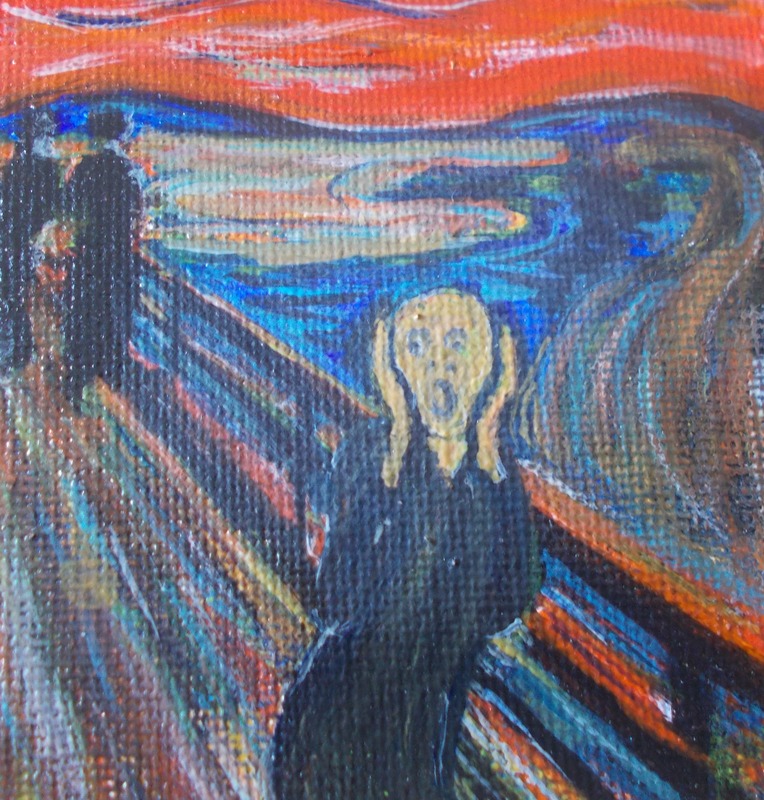 When Mooglymoo was asked to paint Edvard Munch’s ‘The Scream’ onto a tiny canvas measuring just 7x7cm, she was excited to see the end result. 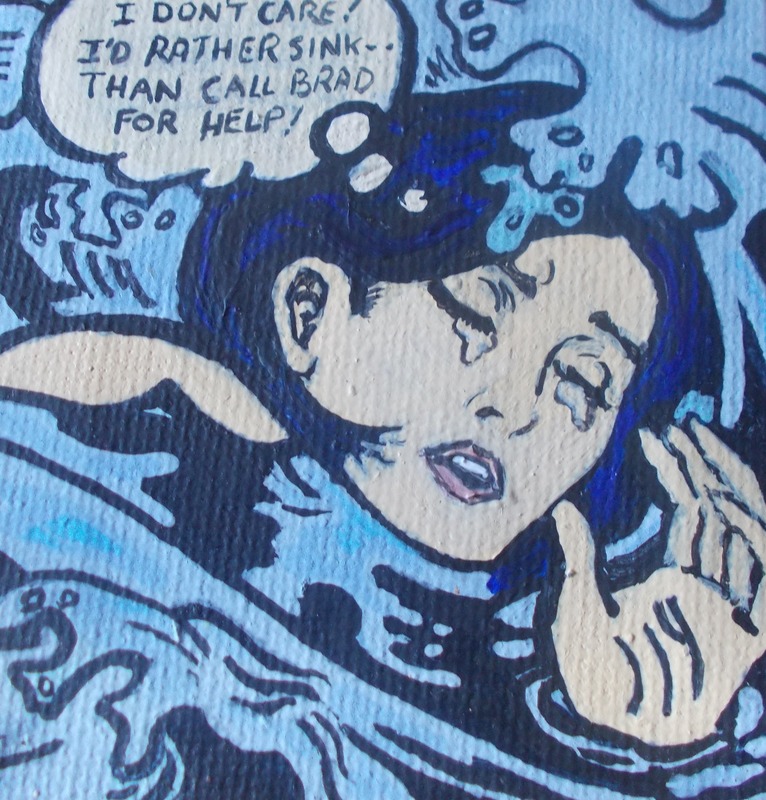 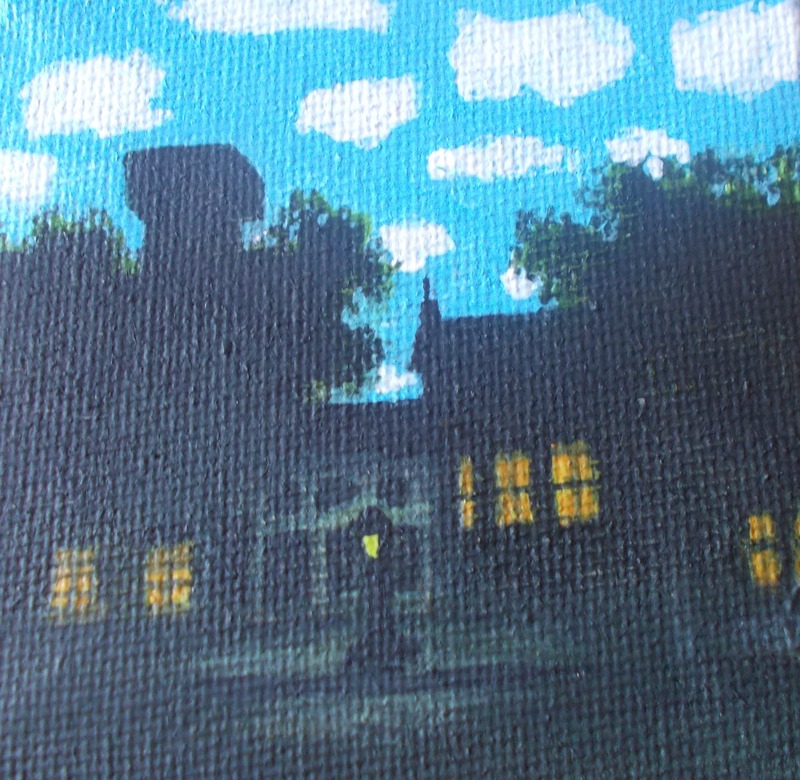 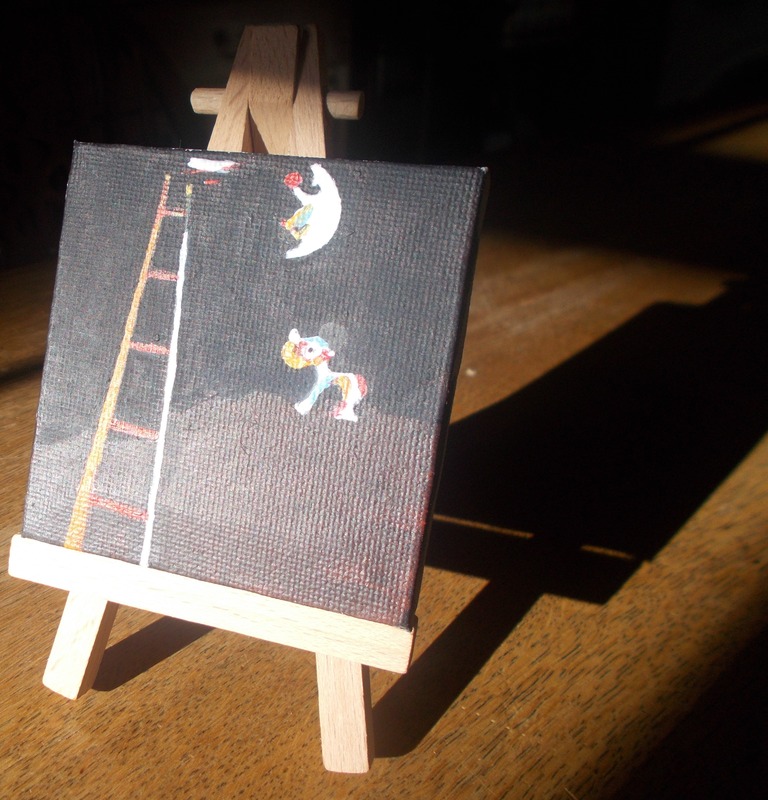 The charmingly tiny canvas sitting on a miniature easel was a challenge to paint but was such a refreshing and fun sidestep from painting ukuleles that she decided to paint a few more. 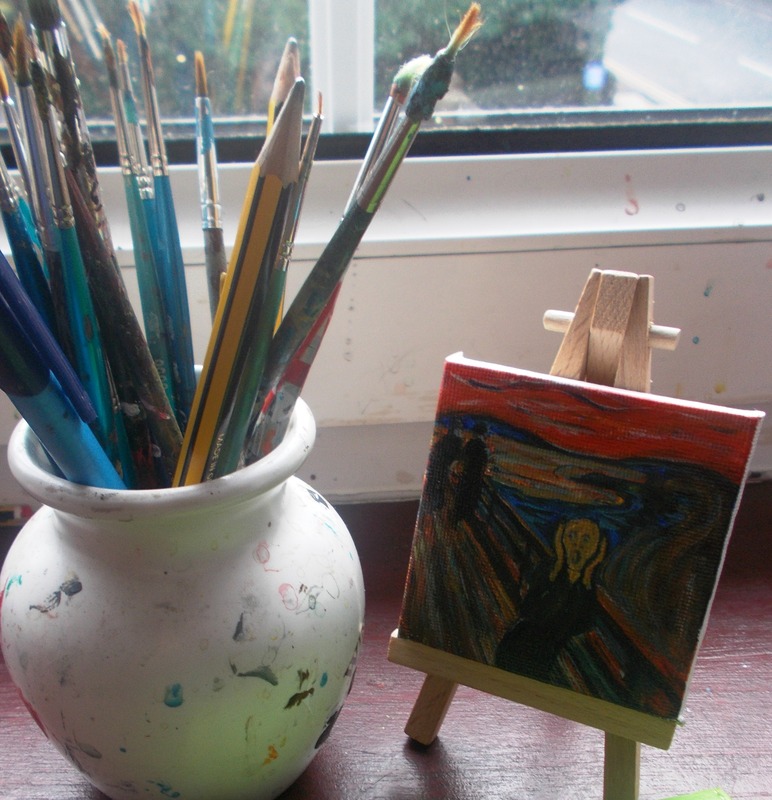 If there is a painting by one of the masters of art that you would love to acquire, but don’t have the necessary millions of pounds to buy it – you could have your own miniature version, hand-painted just for you. 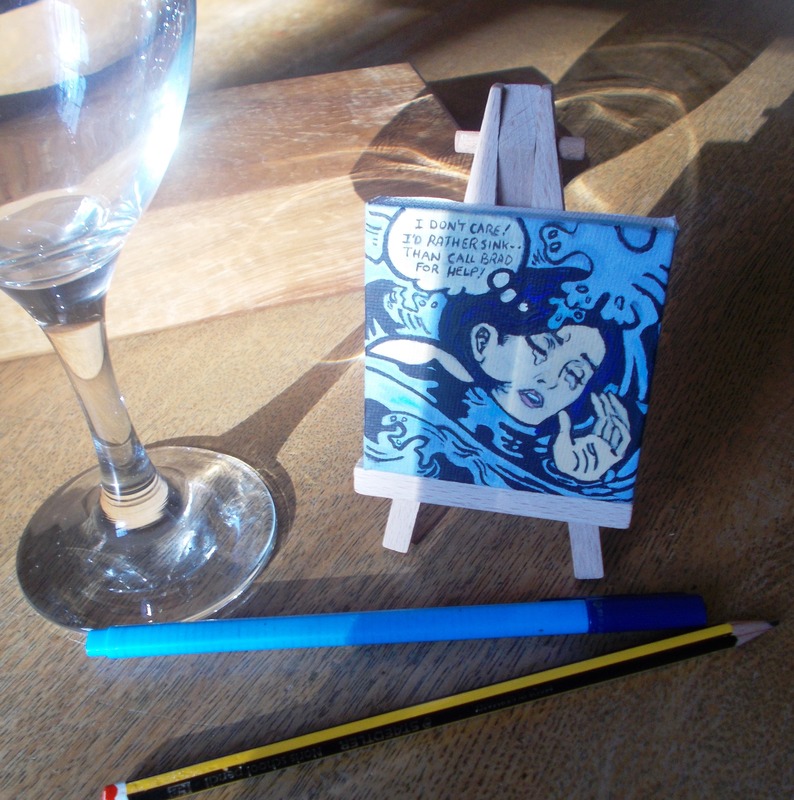 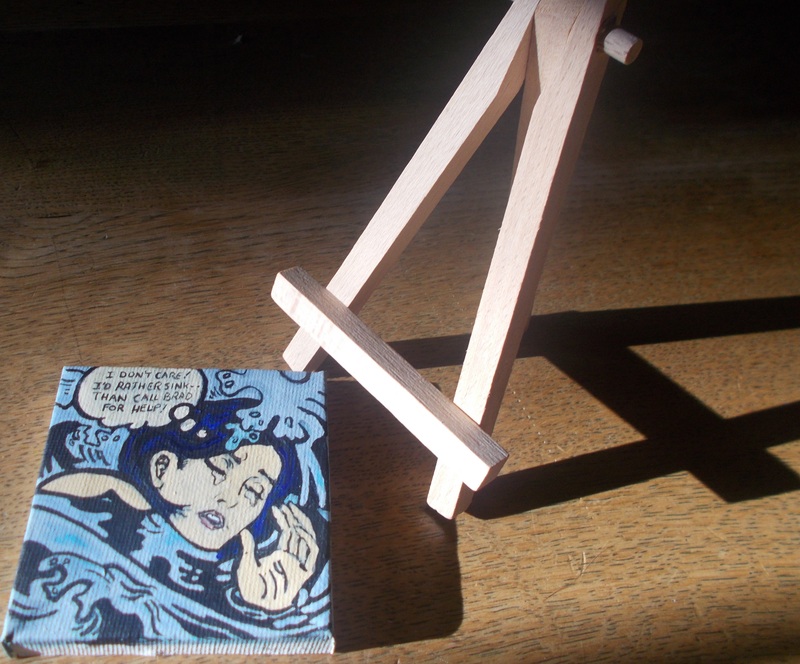 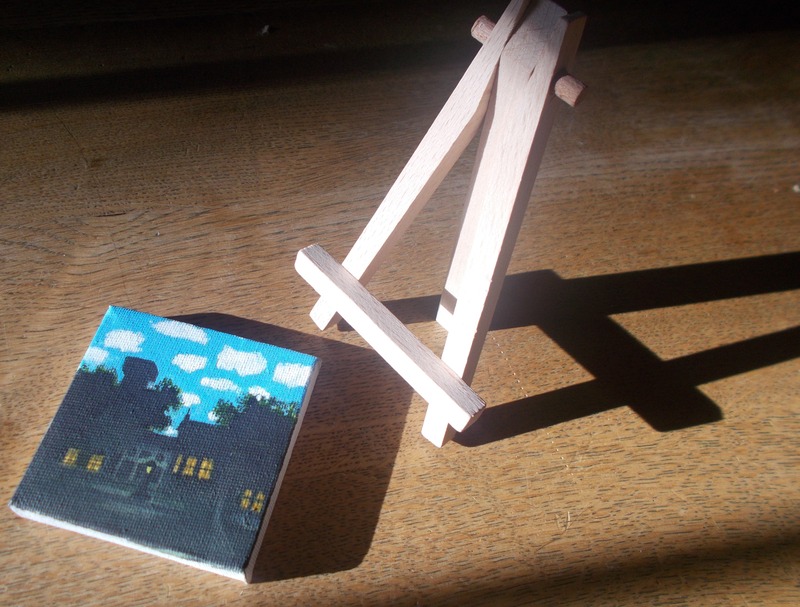 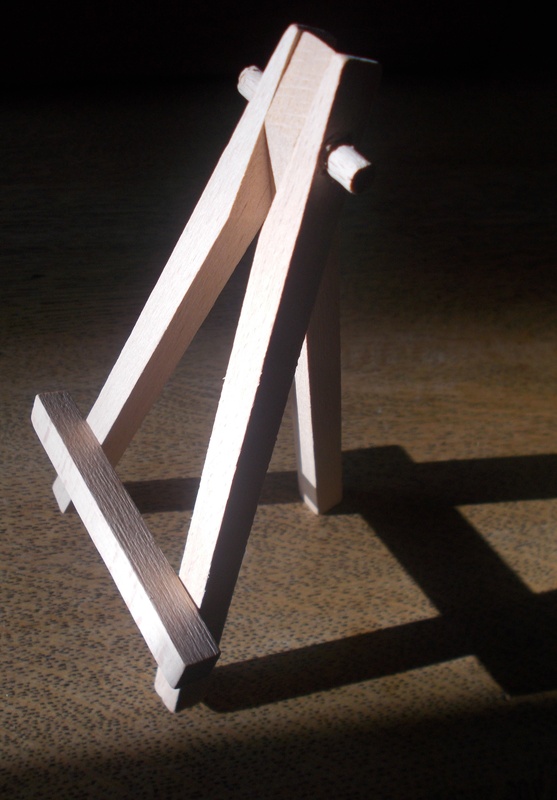 Contact Mooglymoo with your request and you’ll soon have a cute Miniature Master on a tiny easel. 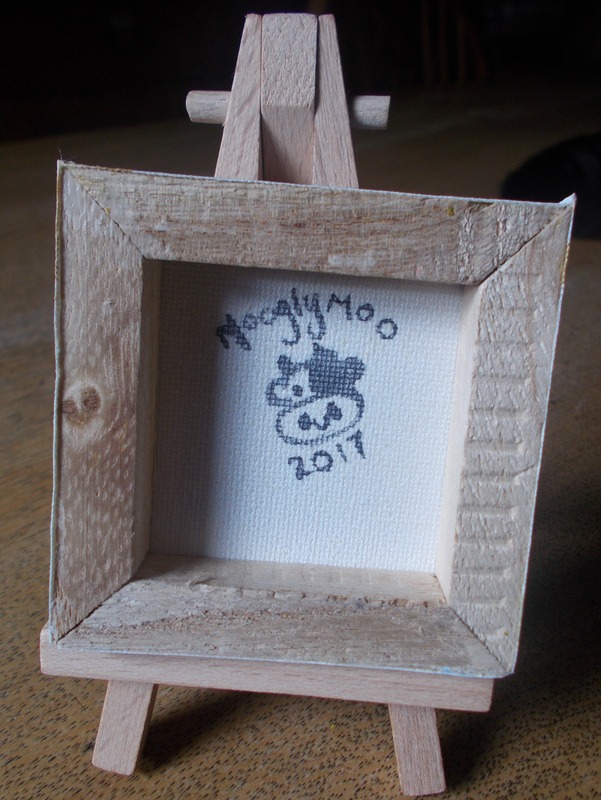 Alternatively, you could purchase one of the works below simply by contacting Mooglymoo; more Masters will be added so please check back regularly! 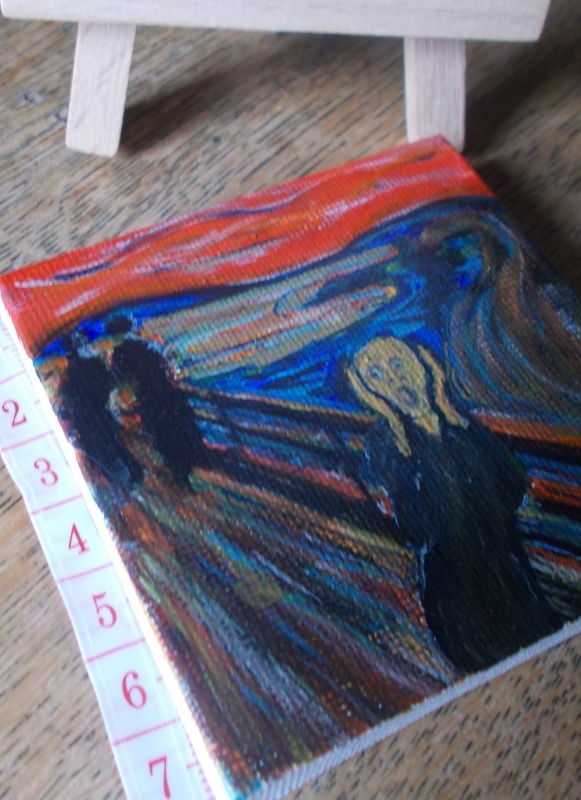 Each Miniature Master below is £35.00 inc postage worldwide. 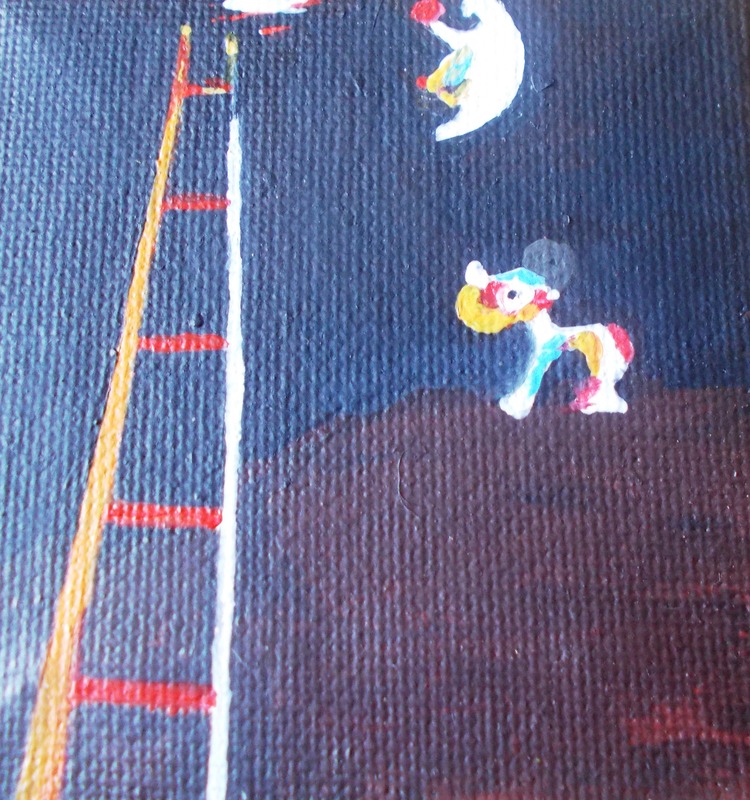 Please check back soon as more Miniature Masters will be added.